Spain's Global Audiovisual deploys LiveU video solution. Hackensack, NJ, February 2019: Global Audiovisual, a Spanish production company that specialises in bringing sporting events to screens across the country, has recently turned to LiveU for one of its most ambitious projects yet: live coverage of both second and third division football. 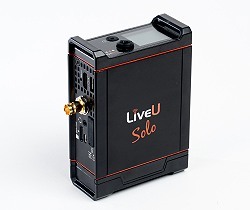 The deal has been overseen by LiveU’s Spanish partner, Park 7.